Saturday, April 15, 2017, 10 a.m. - 11:30 a.m. 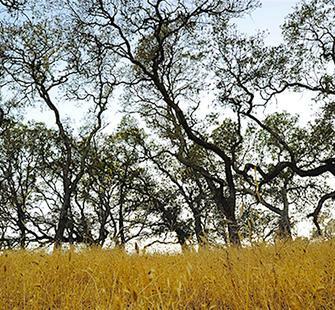 Sudden Oak Death (SOD), a serious exotic disease, is threatening the survival of tanoak and several oak species in California. With each passing year, the swath of infection continues to become more contiguous. WHAT IS A SOD BLITZ? SOD blitzes inform and educate the community about Sudden Oak Death, get locals involved in detecting the disease, and produce detailed local maps of disease distribution. The map can then be used to identify those areas where the infestation may be mild enough to justify proactive management. WHY ATTEND MONTALVO'S FREE SOD BLITZ? 2016 brought about the most significant increase in SOD in California since the Blitz program began in 2006. The disease was found for the first time on Mount Diablo in Contra Costa County; in new locations near Ukiah and southern coastal Mendocino County; as well as in the city of Piedmont (Alameda County) and several areas east of Highway 280 on the San Francisco Peninsula. With recent heavy rains, the disease is likely to continue to spread. Detection and management is more crucial now than ever.